Could tactical nuclear deterrence help prevent conflict in an Asian maritime context? One of the problems with U.S. extended nuclear deterrence is that, although Europe may have gotten rusty on its nuclear strategy 101, U.S. allies in Asia never even got to touch the book. Since Europe was more important, East Asia only got the “leftovers” of U.S. capabilities and doctrine. But now it is clear that the Asian landscape is just as important, if not more, than Western Europe today, to the global strategic landscape. And nuclear weapons will have a role in containing the prospects for a conflict between China and the U.S. However, there is almost no literature on the tactical use of nuclear weapons at sea. “Tactical” nuclear weapons are, after all, an essential part of the credibility of deterrence and, therefore, extended deterrence. There are two notable exceptions: Desmond Ball and Linton Brooks. But their work was premised on the Cold War context of confrontation, with scenarios between the U.S. and USSR. There was much less work devoted to what a U.S.-China nuclear scenario in and of itself might look like. Might it be more acceptable to use nuclear weapons at sea? Could the exchange be limited? How would a nuclear confrontation terminate? Geography means the scenarios and concepts developed for Europe may be largely inapplicable to the Asian maritime context. There are any number of scenarios that could arise where one side seriously considers using nuclear weapons against the other. Crucial questions follow: What are the prospects for a conflict between China and the U.S. involving the use of nuclear weapons being kept limited? Several questions guide the answer to this major one: To what extent would nuclear weapons be used primarily at sea against each other’s military targets? Who would be the first to use these weapons? To what extent and for how long could an exchange remain limited to assets at sea before escalating to land industrial, military, and civilian targets? This goes to the issue of controllability. Would a limited nuclear exchange in the Asia-Pacific be more controllable than during the Cold War? Could the fact that there would be a much clearer distinction (for both sides) between civilian and military targets in this context, lead to a “norm” emerge against targeting cities specifically? And by virtue of all these elements, might it be more “appropriate” and “acceptable” to use nuclear weapons in the Asian maritime context? For the disarmament community especially, the use of even one nuclear weapon equates to wholesale destruction and terrible human suffering. But these advocates fail to appreciate that nuclear warheads have different yields, for instance. The use of nuclear weapons can be limited, precise, and the level of destruction and damage can be moderated. But we might forgive the disarmament community for dismissing these factors. This is because our conceptions of the feasibility and “morality” of using nuclear weapons was heavily colored by the Cold War context. First, it was a land context. Military bases were not far from big cities. And industrial targets were, obviously, also close to cities. So any strikes against military bases would also certainly result in high civilian casualties. 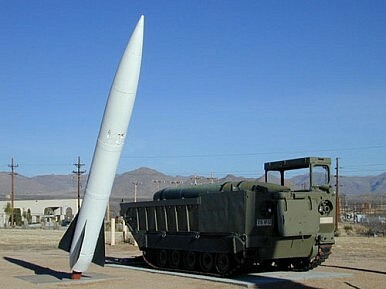 Second, many of the missile systems suffered from issues of precision. Fourth, these factors combined meant that an initial use of even one nuclear weapon might escalate to more intense and geographically dispersed nuclear strikes between both sides, which would then indeed lead to the deaths of hundreds of thousands, if not millions, of civilians. However, those factors don’t necessarily apply in the Asian maritime context. Or at least, they would play out in a very different manner. Let’s compare the current context to that of the Cold War. First, the first nuclear strikes would more than likely take place against sea-based military targets. These are far from civilian and industrial targets. So already the ladder of escalation, one can argue, is much larger. Second, the U.S. could easily employ low-yield weapons against military targets. Third, there have been significant advances in the precision of missiles. Fourth, these factors combined mean that an initial use of even one nuclear weapon might not necessarily escalate to more intense and geographically dispersed nuclear strikes between China and the U.S., which also means that the possibility of limited nuclear strikes might end the lives of a few hundred people, at most. There is a plethora of assumptions here. For instance, the idea that both sides would be eager to keep any exchange as limited as possible before escalating to territorial targets. Perhaps, for instance, that because China’s arsenal is much smaller and would exhaust more quickly than America’s in a hypothetical conflict, it would be the first to attempt to hit U.S. command centers, although this would be extremely difficult given how diversified and robust U.S. C3I is. But if a limited nuclear exchange were possible and “successful” (in other words, limited military goals were achieved without escalating to a nation-to-nation exchange, and civilian casualties were extremely limited), how might this change the “morality” of the limited use of nuclear weapons? Does it? What would the implications be for the deterrent value of “tactical” nuclear weapons? Between the U.S. and China, but also for other states contesting for maritime influence. Say, India and Pakistan. Nuclear weapons tend to conjure up impressive images of mushroom clouds, but will nuclear limited exchanges always escalate? Are there instances they would remain limited, or indeed be used to de-escalate? Can we look to other instances of escalation and de-escalation in history for insights? The Asia-Pacific is a very different military arena to Western Europe. And these dynamics would tend toward limited nuclear options being 1) much more feasible and 2) much more acceptable. The question is, however, how would this affect deterrence? Would the effect be limited to tactical nuclear weapons, or would it also apply to “strategic” weapons capable of hitting each sides’ population centers? Given these differences, it is time to re-think both the concept, and role of limited nuclear options. This would reinforce the credibility problem of America’s nuclear arsenal, inject some sobriety in U.S.-China military decision-making in a conflict, and possibly contribute to the de-escalation of a potential conflict. After all, if U.S. tactical, or “battlefield” nuclear weapons helped prevent the Cold War from turning hot, they certainly have a role to play in Asia. Christine M. Leah is a Postdoctoral Associate in Grand Strategy at Yale University. She was previously a Stanton Postdoctoral Fellow in Nuclear Security at MIT.